Their ongoing debate on infrastructure policy is likely to coincide with partisan fights over transportation funding priorities, as well as floor votes on key DOT nominees. Although the transportation policy committees have scheduled hearings for the week of March 25 about aviation safety, the top Democrats on those panels are planning to push for in-depth reviews of alternative approaches for funding transportation systems. Additionally, they’ve called for examining the possible benefits that would come from alternative forms of travel. Delaware Sen. Tom Carper, the top Democrat on the surface transportation committee, proposed that his panel, as well as the tax-writing Finance Committee, evaluate the progress on vehicle-miles-traveled fee systems nationwide. Several states are testing programs that charge motorists a fee for the miles they drive, and Carper argued VMTs could gain national acceptance. Opponents of VMTs raise privacy concerns. “The long-term goal should be moving toward a vehicle-miles-traveled approach over the next decade or so. But there needs to be a bridge to that future,” Carper told Transport Topics this month. 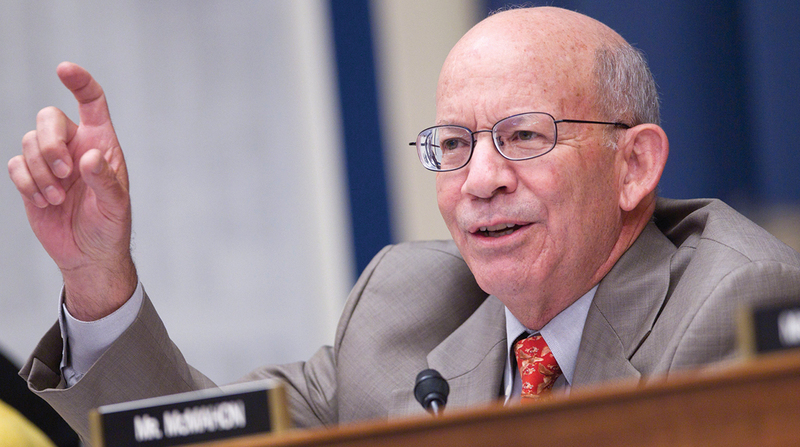 Carper and his Democratic counterpart in the House, Rep. Peter DeFazio (D-Ore.), support including a VMT pilot program in an infrastructure policy measure. The two Democrats, however, are proponents of a fuel tax increase as a way of ensuring sustainable funding for an infrastructure bill. House leaders are aiming to land a long-term infrastructure bill by May. As lawmakers continue to struggle to identify a sustainable source of funding for the measure, Hill aides told TT recently the measure is expected to reach committee in June. Meanwhile, Del. Eleanor Holmes Norton (D-D.C.), chairwoman of the Highways and Transit Subcommittee, indicated that hearings about the role of bicycles, pedestrian walkways and scooters are possible in the near future. The infrastructure measure could include provisions related to those noncommercial forms of travel. “What we need now is adaptable infrastructure that has to work together, particularly to avoid congestion,” she said March 13. A federal account that relies on dwindling revenue from the 24.4 cents-per-gallon diesel tax and 18.4 cents-per-gallon gas tax is projected to approach insolvency in about two years, analysts estimate. Meanwhile, House funding leaders are expected to host hearings with the leaders of transportation agencies who will defend President Donald Trump’s fiscal 2020 budget proposal. The U.S. Department of Transportation would see a 22% decrease from the 2019 discretionary estimate under the fiscal 2020 proposal, according to the Office of Management and Budget. The Federal Motor Carrier Safety Administration’s budget for safety operations and programs, as well as safety grants, would increase slightly in fiscal 2020, if enacted. The president proposed $288 million and $387.8 million for the programs and grants, respectively. Democratic appropriators in the majority say they intend to push for greater funding for extreme-weather-resilient infrastructure. Republicans oppose approving significant funding for passenger rail and transit systems. Meanwhile, Senate leaders are likely to hold votes on key transportation nominations in the coming weeks. Nicole Nason, Trump’s pick to lead the Federal Highway Administration, is among the high-profile nominees awaiting confirmation. She gained the approval of the Environment and Public Works Committee last month.